A cane meant to help people with trouble navigating tall steps. 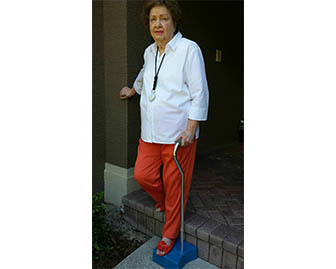 This cane has a built in platform that can used as an intermediate step before climbing or descending to the next level. Can also help with getting in or out of tall vehicles.